Want to get over your low mood? Stop somewhere today and pick up Kale seeds and a little dirt. 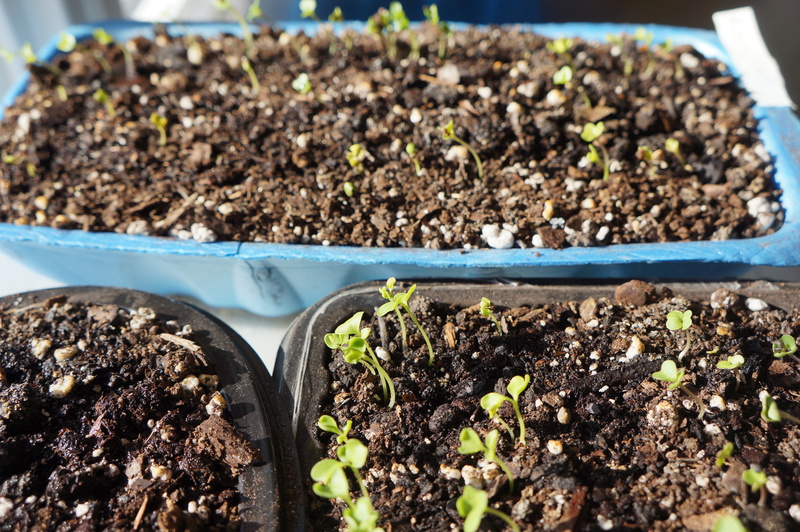 Dig some old food trays out of your recycling, poke holes in the bottom, fill with soil, put the seeds in and water. Put it all on an old tray on a window sill. For 4 days I watched in anticipation and now on day 6 I have sturdy little baby Kale plants! All they need is a little water until the 2nd leaves come in which will take a few weeks. I’ll show you then what to do with them. For right now I’m just enjoying the happiness in green! I also planted basil but it takes forever to come up. It’s great when it does, but I wouldn’t recommend only planting basil right now because it gets discouraging waiting for it. Another happy happy is my pot of ginger mint from last year’s garden. I never got it planted so it languished in its container from the garden center all summer. I brought it in and watched it die off, hoping it was just going dormant for a few months. I was right! Here they are sprouting anew! The sleeping gardener in me is waking up. I might make it through this winter after all! Cool! 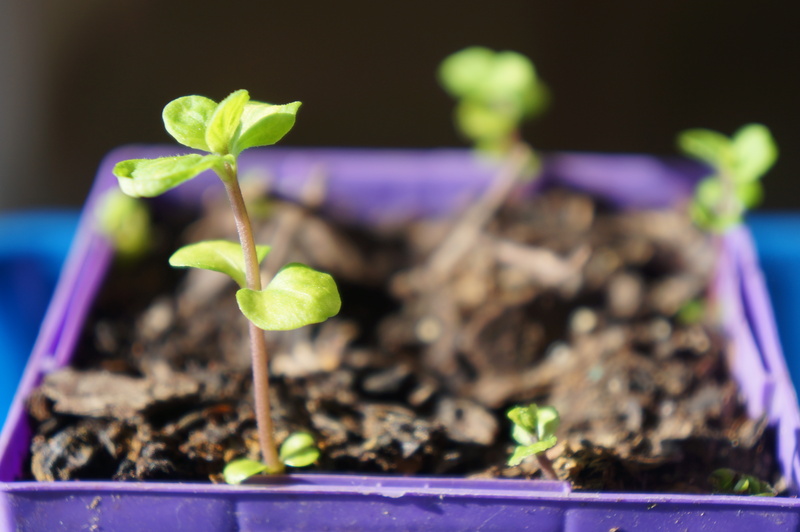 Let me know how your seedlings do!